Here you will see list of all user with their configurations like what shell the user uses. You will have to enter user details like name, phone no etc. You can just press enter if you do not wish to provide this information. 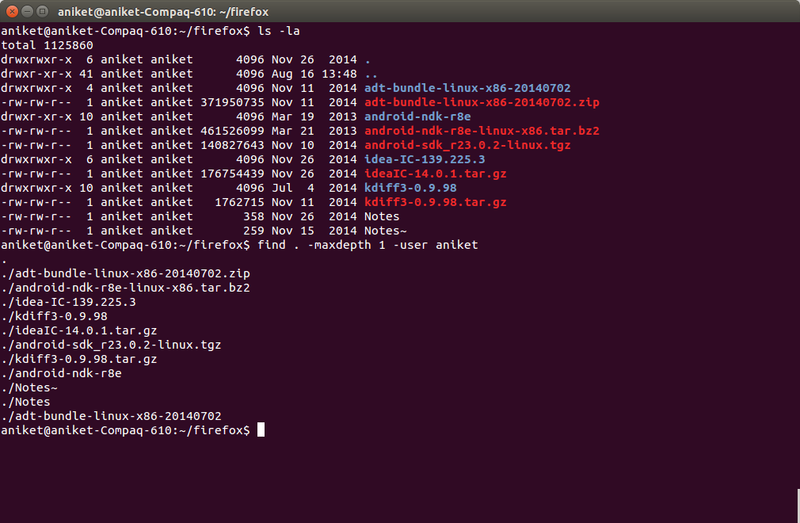 You can see directory with same username getting created in /home folder. You will need to provide corresponding users password. Just creating a user will not grant it administrative privileges. 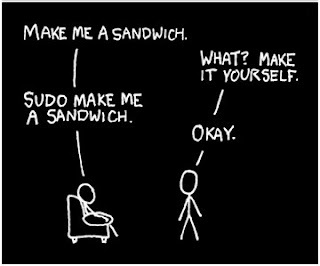 This user can't use sudo command and thereby not execute tasks that requires administrative privileges. 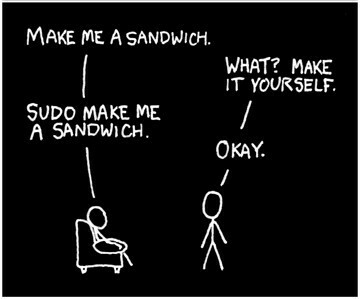 Note that the user from which you execute this command should be in sudoers list. What I mean here by personalizing is setting environment variables and aliases that user will need in his or her daily usage. 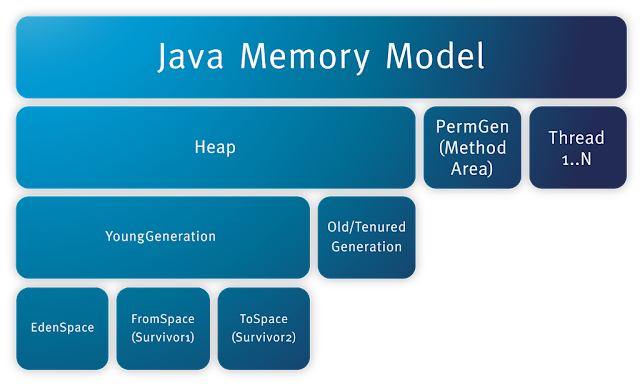 For example lets say a developer create his/her account and now want JAVA_HOME variable set. Sure it can be exported and be done for the day but lets see how we can permanently set it. save the file. Then in console just type hw and you should see "Hello World!" printed. 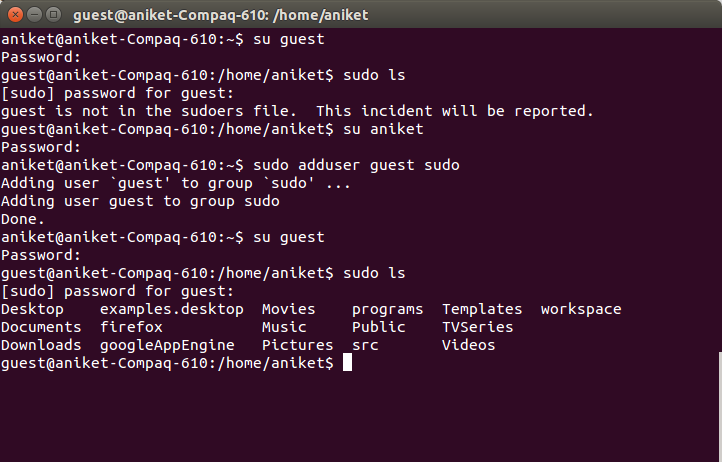 This was just an example you can set alias to command use frequently use. Note : If you making any change in the .bashrc file you will have to open a new terminal window to see the effects. 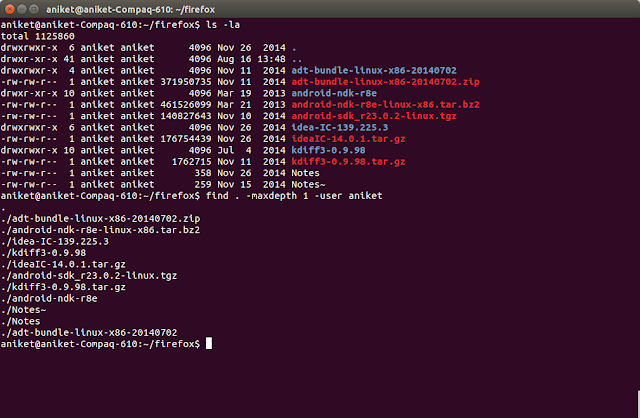 If you want to see the changes in same terminal you have to use source command as show in screenshot above. You can mix and match u,g,o and r,w,x combinations. Use this with caution. You don't want to give others unauthorized access to your profile. Also if you want to do this action recursively you can use -R option. 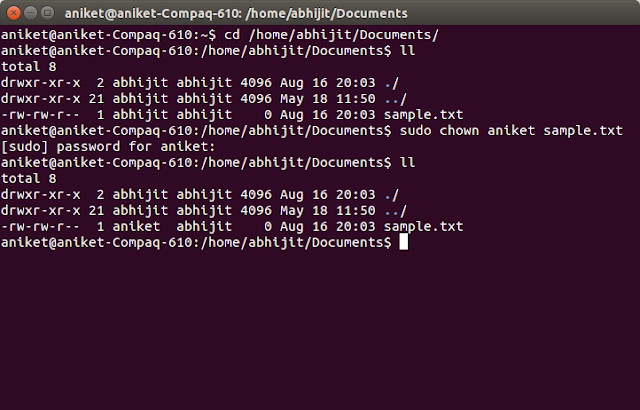 If you want to change ownership of a file or a directory you can use chown command. 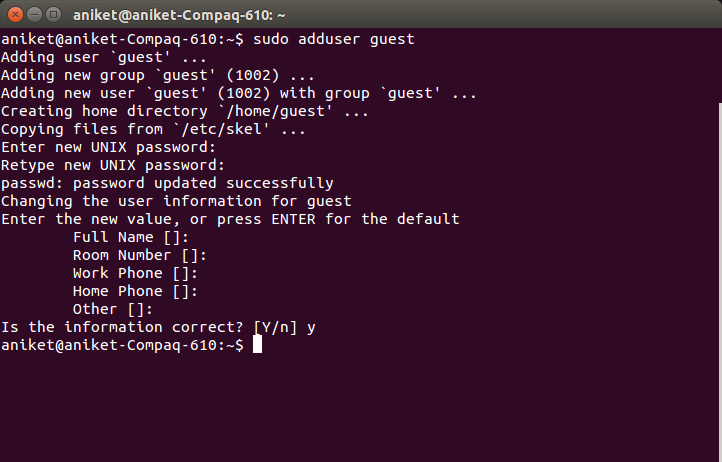 You will see row corresponding to this user in /etc/passwd file will get removed.